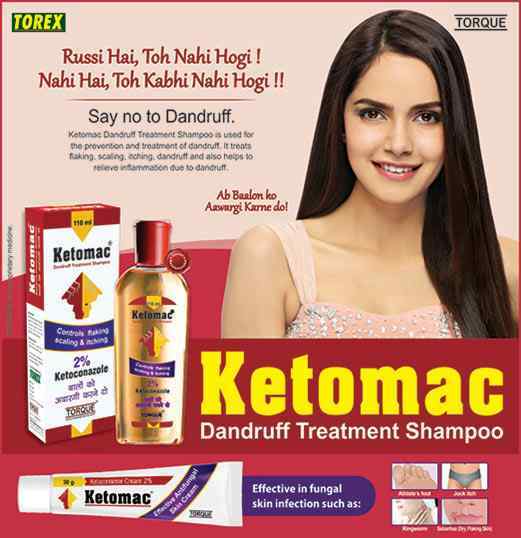 Ketomac is basically a formulation of Ketoconazole, which is used for topical application, as broad spectrum synthetic antifungal agent in a concentration of 2% in a Shampoo/Cream. Ketoconazole is an azole antifungal that works by preventing the growth of fungus. It is in the same family of drugs as fluconazole, itraconazole and miconazole. Ketoconazole works by preventing the formation of fungal cell walls, thereby stopping fungal growth. 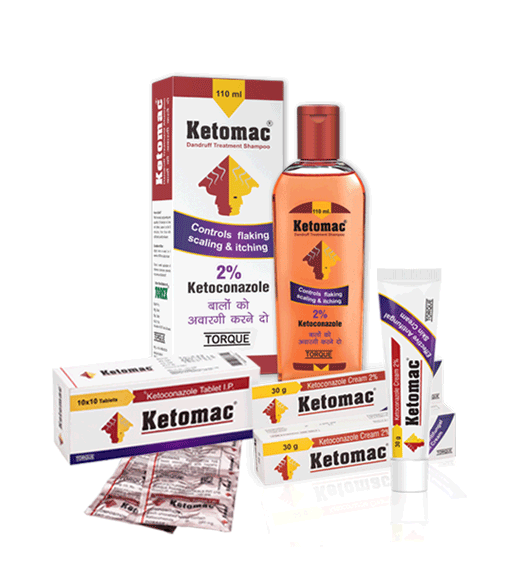 There is a range of Ketomac products like shampoos, creams, and tablets that contain Ketoconazole to help kill yeasts and fungi. Several skin conditions are greatly benefitted by Ketomac products. Fungi produce a substance named ergosterol that makes the fungal cell membranes. The antifungal agent in Ketomac, Ketoconazole, does the job of targeting this substance to provide the desired results. 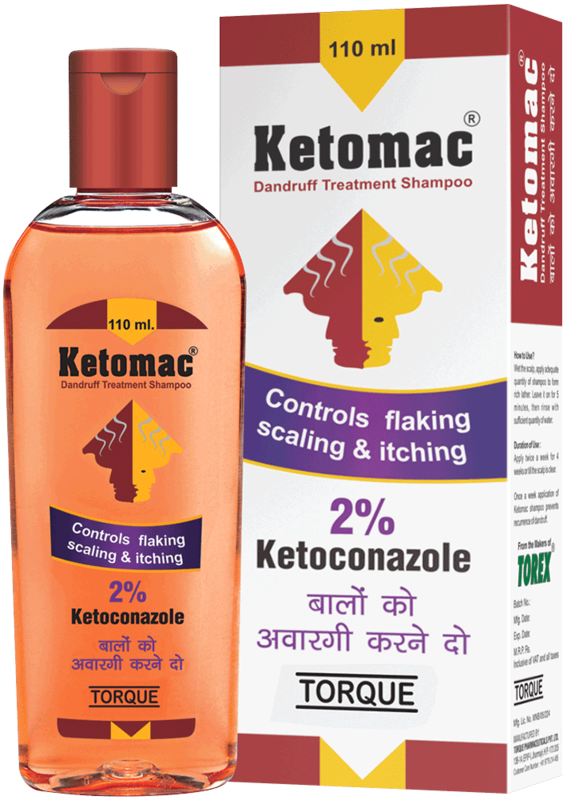 Dandruff is one of the major conditions that is treated using Ketomac shampoo. The symptoms like itching, scaling, and flaking can be easily handled with the products. It also has anti-inflammatory properties, useful in case of dandruff. The tablets and creams are highly beneficial in case of other skin conditions like tinea versicolor, athlete’s foot, ringworm, and jock itch. The key to the survival of fungi is its cell membrane. As the agent in Ketomac products targets the component that constitutes the cell membrane, it significantly helps in leaking the fungal cell to result in death. Ketomac products also offer an excellent circumstance to prevent skin conditions from occurring, especially in people who are prone to such conditions. Because of the success rate, Ketomac has to offer, it is one of the highly demanded skin care products. Say goodbye to dandruff and other annoying skin conditions when Ketomac is here! KETOMAC Shampoo/Cream contains Ketoconazole that kills fungi and yeasts by interfering with their cell membranes. Topical Ketoconazole is used for treating Ringworm, Jock itch, Athlete’s foot, Dandruff, and Tinea Versicolor. 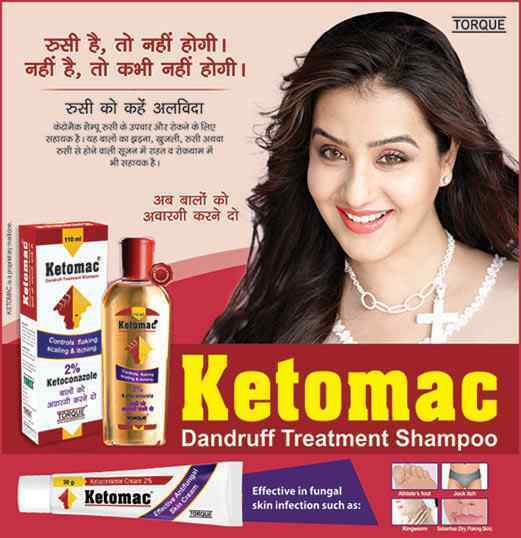 Pioneering the world of hair care solutions, Ketomac Shampoo has provided ultimate results. Venture of Torque Pharmaceuticals Pvt. 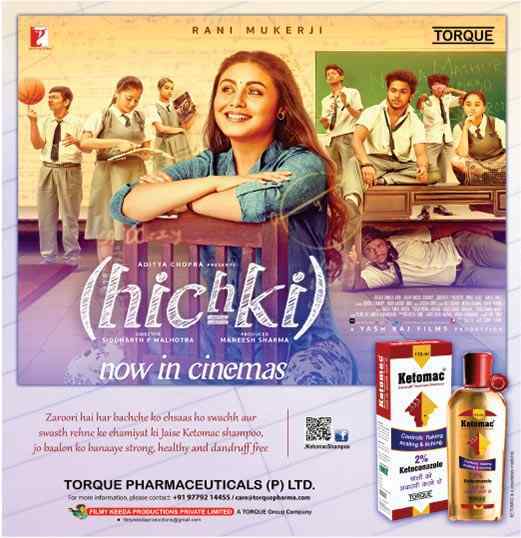 Ltd.
At TORQUE, the pillars upon which its strength rests are – Impeccable Quality, Commitment to Excellence, Constant Innovation and Environment Conducive to Growth and Affordable Medicines. The first company in Punjab to be awarded WHO-GMP Compliance Certificate by the Drug Regulatory Authorities in the year 2005.